We have now signed up to TT Rock Stars. The website allows the children to practice their times tables through a competitive element. When you log on you can select different areas known as arenas to complete a range of times table tests. As the teacher, we can set the times tables which we want the children to be able to access. Your child should be using the Times Table Rock Stars log in on a regular basis as part of their school homework. If your child does not have access to a device to use the log in, then time is allocated during a break through a regular rota in school, where they can use the ICT suite to log on to TT Rock Stars. Outside each classroom, we now have a poster to record the top scores which allows us to see who is earning those coins. Coins can be exchanged for a range of items for your TT Rock Star character. What is Times Table Rock Stars? 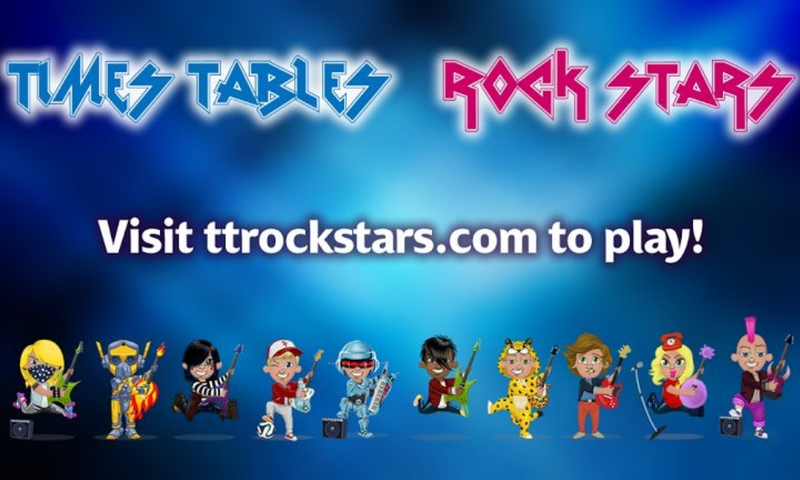 Times Tables Rock Stars is a carefully sequenced programme of daily times tables practice. Each week concentrates on a different times table, with a recommended consolidation week for rehearsing the tables that have recently been practised every third week or so. The programme has one aim - to boost times table recall speeds. What are the benefits of Times Table Rock Stars? The clever code behind the scenes works out which times table facts each pupil is consistently taking longer to answer and then it gradually starts to present these facts more frequently until pupils have mastered them.